go ahead take my day ! Ajouter un concert pour Powerwolf. 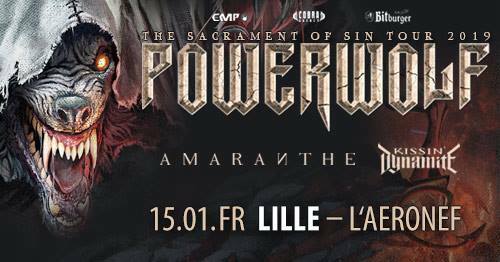 Abonnez-vous aux infos concerts de Powerwolf. z7 Konzertfabrik présente "Metalfest Switzerland"
Rock The Nation présente "Power Of Metal 2011"
"Hellfest 2014 - J3 - Main Stage 2"